When questions, most Northridge, CA property owners have mentioned that they struggle to find a reliable plumber whenever the need arises. However, we are a plumbing company you can count on at any time of the day or night because we provide a 24 hour call out service to our clients. Our plumbing experts will not only arrive at your property on time; they will be able to attend to virtually any plumbing issue you may have in a prompt and knowledgeable manner, ensuring that new installations, repairs and maintenance work are done correctly the first time. Call us today at (323) 745-2839. It is recommended that homes and business properties which are more than a few years old have regular plumbing maintenance performed on them. 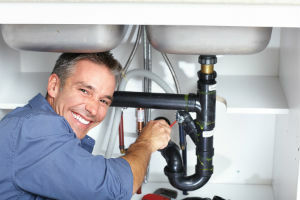 For example, replacing water heaters, checking faucet washers and ensuring that pipes have not sprung any leaks. All of this work has to be performed by a pluming company that is fully licensed and that only hires experienced plumbing technicians. This will ensure that insurance claims are not voided in the event of having to deal with an issue such as a flooded drain or burst water heater. Our Northridge plumbing company is fully qualified and experienced, providing you with complete peace of mind in this regard. If a water leak goes undetected for more than a few days, it could end up costing you thousands of dollars in high water bills and property damage. Our Northridge plumber will be able to perform leak detection in a fast and professional manner, and we also have the correct equipment required to detect even the smallest slab leaks. While on your property, our technicians can perform a wide range of drain-related services as well, such as cleaning, unblocking and general maintenance, leaving you with a property and water supply that is clean and sanitary. We also know that plumbing emergencies will always happen at the worst times possible, which is why we provide our clients with an emergency plumbing service at the fairest price possible. Regardless of whether your toilet is clogged, a drain is blocked or a pipe has burst, our plumbers will be able to attend to these issues at any time of the day or night. Our team is known for providing emergency plumbing Northridge homeowners can turn to in order to get the job taken care of the first time, even in the middle of the night. 24 Hour Northridge Plumbers | Schedule an Appointment Today!